The Helgi Library was born from an idea about a way to find information fast, easily and cheaply, whether it be a number or a report. From very limited objectives at the beginning, the project grew from a little snowball into a large one as more information was added and sources were discovered. The Helgi Library is now an open platform, to which data and reports are being added every day from all over the world. It began as an idea when I was writing a report. Finding the right data was always the most time-consuming job. It could also be the most expensive part of the exercise when making an analysis as only a limited number of providers offer the necessary data, often without much added value. And living and working in the region of Central and Eastern Europe, where information is even scarcer than in the more developed world, the idea of providing proper information at a reasonable price became further cemented. He spent nearly two decades analysing companies in the region of Central and Eastern Europe, primarily in the area of financial services. Jiri built and headed Equity Research at Wood & Company, a Central European brokerage firm, and got several awards (such as The Best Equity Research or The Best Analyst by Euromoney). Jiri received his degree from the University of Economics in Prague in 1997 and spent a few years in London working in the City. 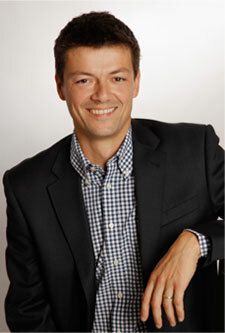 In addition to his Helgi Library pursuit, he is a founding partner of Helgi Analytics, a consulting firm.